If you’ve never done this before — Please do so immediately. And if you can’t quite swing a ticket to Paris (understandable), find your local replica with haste. 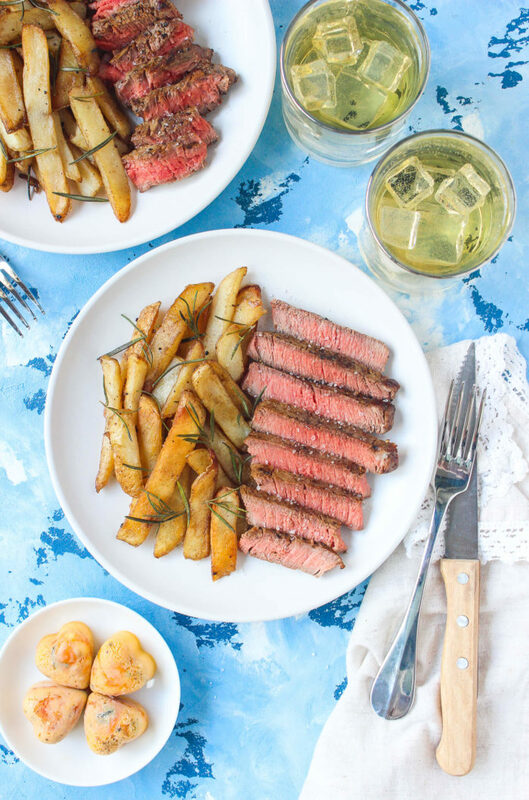 Because after you make these steak frites, you’re going to have bistro-life on the brain 24/7. Grilling is one of the great joys of spring/summer, but it can also be kind of a hassle, too. Between cleaning the grill, replacing the coal or gas, and that wretched tear-inducing smoke (WHY must it sting so bad?! ), grilling can be an annoying mess. So if you can replicate grilling indoors without all the high maintenance nonsense, that’s a win-win. 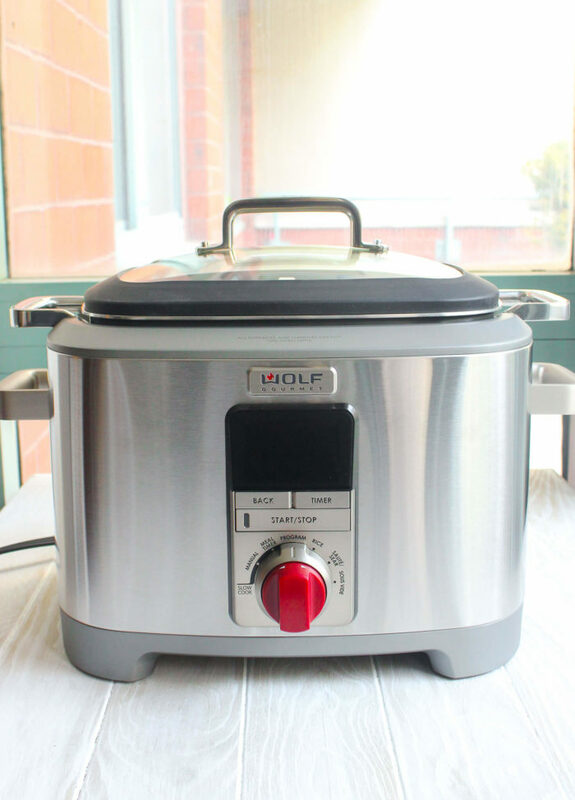 And I found I can do just that with the Wolf Gourmet Multi-Function Cooker. To say I love this little gadget would be the understatement of the century. Boldly put — I’m obsessed with it. And NOT just because it’s Wolf, because who doesn’t love a good label. This is a certified beast of a cooker with six cooking modes, 7 quart capacity (that’s, like, a lot), and it fits right on your countertop! Because with Wolf, you know it’s going to be sleek, sophisticated, and perfectly poised for display. The Multi-Function Cooker gives you the option to slow-cook, sous vide, or specially cook rice (YES!) among other great features. But my clear favorite is the sauté/sear. This mode allows me to achieve grill-like results without actually grilling, so it’s come in handy countless times. 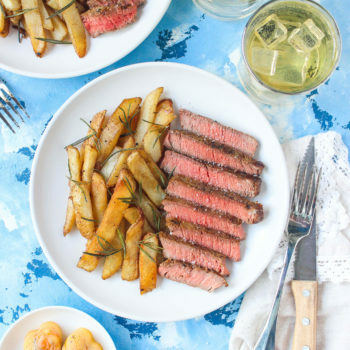 These steak frites being the latest example. You start by heating the Multi-Function Cooker to the sauté/sear “high” setting, then amply salt & pepper two 6oz filet mignon steaks on all sides. Add about a tablespoon of butter to the bottom of the cooker, using tongs to swirl and coat. Next add in the steaks and sear for about 3 – 4 minutes on either side to achieve a medium-rare finish. Depending on how thick your filets are the time can vary, so size up your pieces before cooking. Once sizzlingly crisp and smelling AMAZING (hi, Paris), let the steaks rest while you tackle the fries. 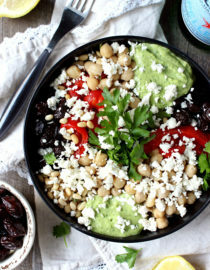 Right now is where this recipe goes from great to greatness. That’s because you sear the fries inside the cooker, IN the steak juices! Beyond genius, I know. First lower the sauté/sear setting to “medium”, then add some oil to the cooker so it’s extra greased. Toss in your freshly cut, matchstick potatoes, then stir every few minutes until golden, about 10 mins total. 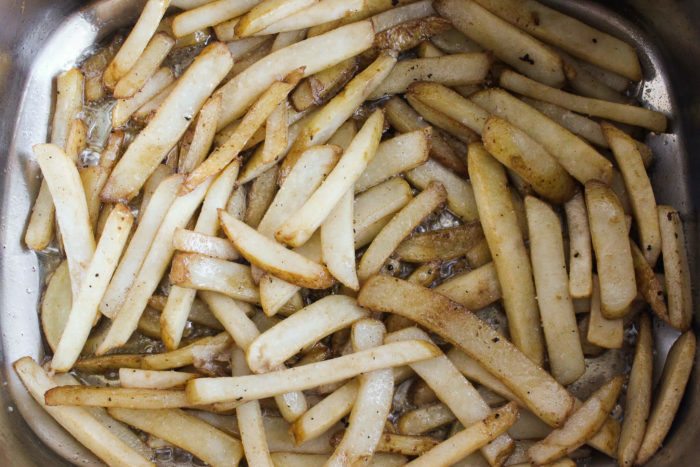 Use a slotted spoon to transfer the fries to a paper towel-lined plate (this will minimize grease) then immediately season with salt and rosemary. 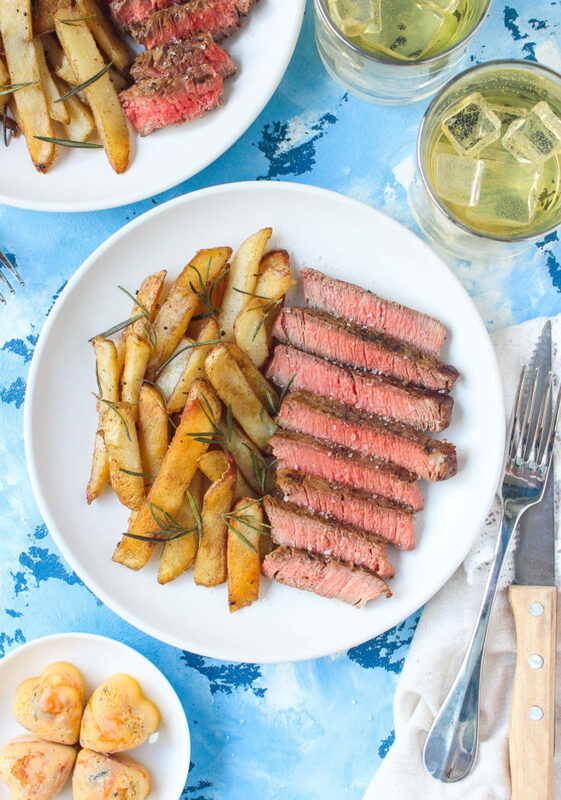 Finally prepare your plate with steak, fries, and your choice of sauce, then eat! 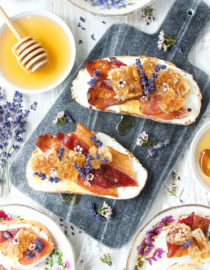 One bite will transport you straight to Paris, promise. I’ll finish by saying that this goes great with béarnaise (my weakness! ), peppercorn sauce, or just a good old-fashioned hunk of herb butter. 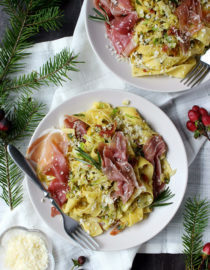 Wine is mandatory (I favor a beaujolais or sancerre), and if you can, eat outside! Place the canola oil in the refrigerator to chill. 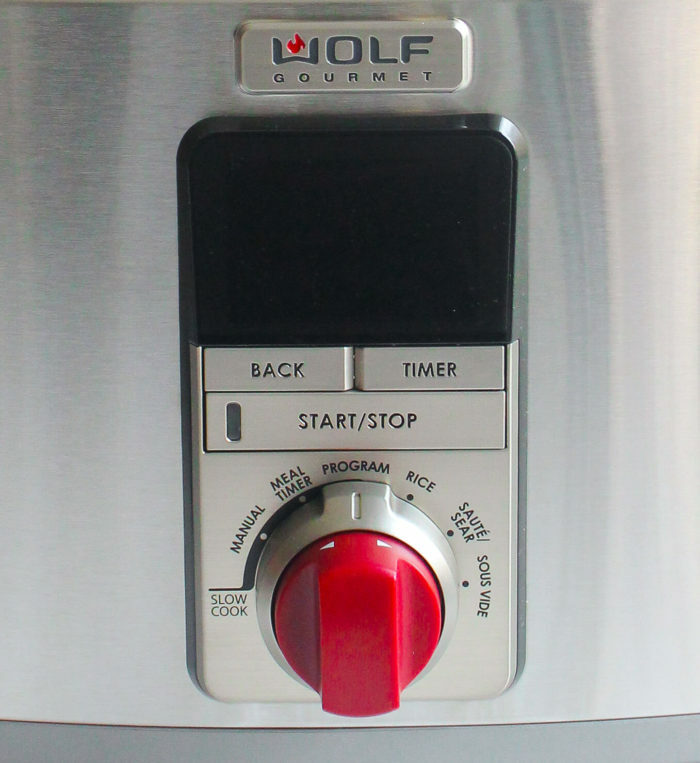 Pre-heat the Wolf Gourmet Multi-Function Cooker to the Sauté/Sear setting on “high” heat. 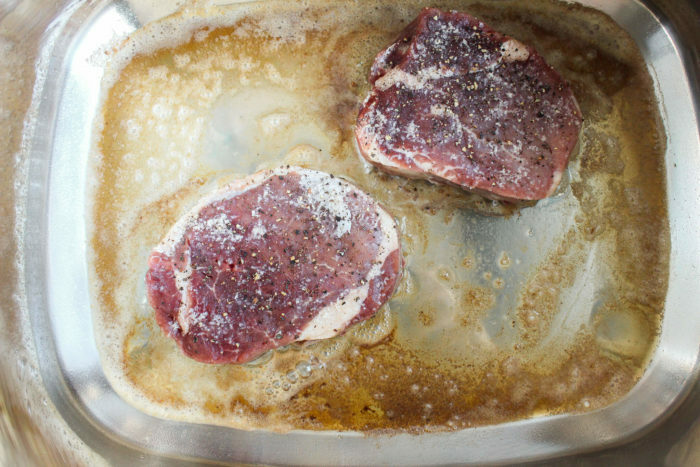 On a cutting board, amply season the steaks with salt & pepper on all sides. Once the cooker is heated add the butter, using tongs to swirl and coat. Because the cooker is so hot the butter may brown a bit — That’s okay! Just keep swirling to ensure it doesn’t burn. Once melted, add in the steaks and cook for 3 – 4 minutes on either sides until seared to a medium-rare finish. 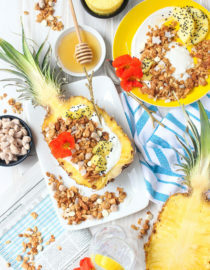 Transfer to a clean plate to rest. Reduce the cooker heat to “medium”. Next pour in the chilled canola oil to deglaze the base, scraping the bottom as you do to incorporate any brown bits of flavor. Add in the potatoes, stirring to coat, then cover the cooker and let the potatoes simmer until golden, about 10 minutes. Be sure to stir the potatoes every few minutes for even cooking/browning. Transfer the potatoes to a paper towel-lined plate, then immediately season with salt & rosemary. When ready, divvy up the steaks and fries, then eat! This pairs well with herbed butter, peppercorn sauce, or béarnaise for the steak. 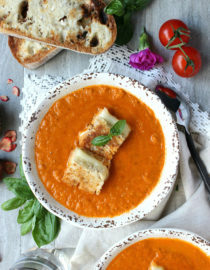 Fire Roasted Tomato Soup, For Two!